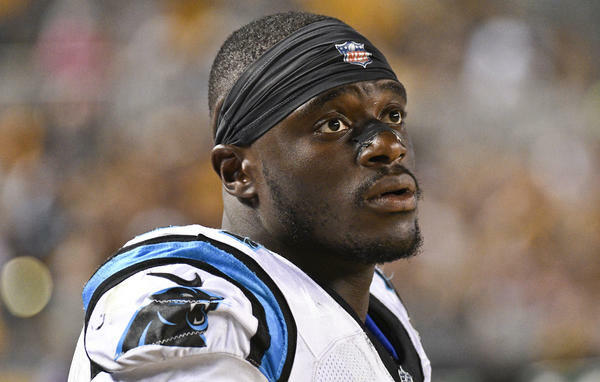 Defensive end Efe Obada has made the cut onto the Carolina Panthers' roster. 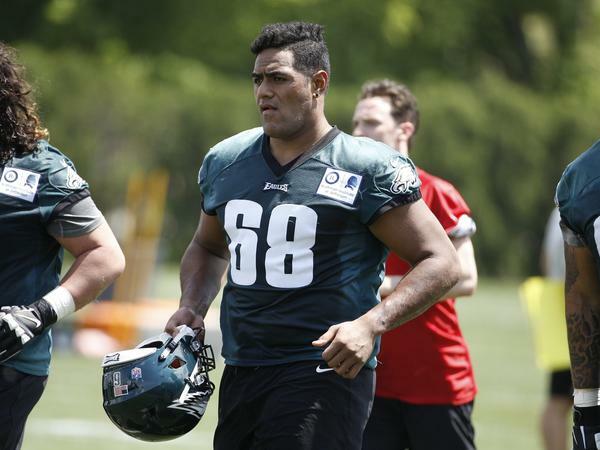 Philadelphia Eagles offensive tackle Jordan Mailata, of Australia, has made the team's final roster after starting to play football only a few months ago. "This lady just left us out on the streets," Obada told NFL UK in 2015. "It was scary and there was a security guard there. We explained our situation and he let us sleep in the foyer of the flats. We spend two or three nights sleeping in the foyer of that building and we only had our jackets to keep us warm." Years later, when he was 22, he happened to try American football and played with the London Warriors team in 2014. That's where he was spotted by the Dallas Cowboys. He was signed and released by multiple teams before making the Panther's final roster this weekend. "I've lost a lot to get here. I've had to sacrifice a lot. I've been through a lot," Obada told the Panthers website. "All the suffering paid off. I want to make those people who believed in me proud." After being left in London as a child, Obada and his sister spent time in foster care. He told NFL UK that he had brushes with life in gangs and several of his friends were killed. "As I got older, it became apparent I wasn't like everyone else," he wrote. "I couldn't further my education or gain employment because I was undocumented. I was stuck. I began hanging around the wrong people in an effort to fit in and survive. Some poor choices led me to get in trouble, and it was then I decided to turn my life around." That's when he was introduced to football. "I didn't really know anything about American football but I was told I had the physique and that I should try it," he told NFL UK (Obada is 6-foot-six and weighs 265 pounds). "I fell in love with the sport." He signed with the Dallas Cowboys after only five games with the amateur London team, NFL.com said, "but was cut at the end of the preseason, later joining their practice squad." Obada then spent time on the rosters of the Kansas City Chiefs and Atlanta Falcons, and was later assigned to the Panthers for the 2017 season. The team says he was on the practice squad last season. Obada was part of the NFL's International Player Pathway program, which offers several foreign players spots on the practice squads of NFL teams. And according to the team, he is the first member of the program to make it onto a final roster. Another international player has gained attention with his long-shot story. Australia's Jordan Mailata was a professional rugby player before coming to the U.S. to try his hand at playing football just a few months ago. In the spring, he started playing with the Philadelphia Eagles – and now he's made the final roster as a 6-foot-8, 346 pound offensive tackle. "The outgoing, 21-year old tackle went from knowing nothing about the sport he was trying to play professionally, to making the roster of the NFL's defending champions," the team wrote. "When I sit here and reflect on my journey to the NFL and all the roadblocks that were there when I made the decision to come to America and try to pursue a career in the NFL, there was a lot of adversity and people doubting," said Mailata. "And when I think about that, it makes make me realize and appreciate that if you put your mind to something, you can achieve it."